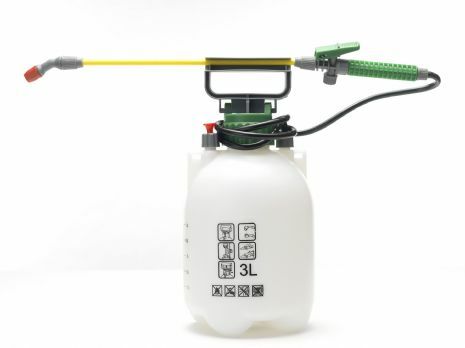 This hand-held Pressure Sprayer is designed to enable a thorough and even distribution of insecticide. Quicker and easier to use than a hand-held trigger spray, this Pressure Sprayer is easy to pump and has a long, adjustable spray nozzle for accurate and even application. Simply fill with insecticide, pump to create pressure and begin to apply to affected areas. Ideal for carrying out a professional style application of Pest Expert insecticides for the treatment of flying and crawling insects including bed bugs, cockroaches, fleas, flies and moths.